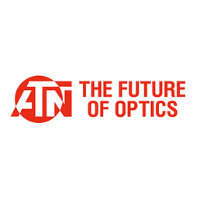 Spanning the world of optics, night vision and thermal imaging, ATN has developed the largest selection of low light optical devices that cater to consumers, law enforcement and military clients in over two decades since its founding. ATN has consistently delivered new and innovative technologies, recently revolutionising the market with it’s X-Sight scopes and BinoX binoculars based on Obsidian Core technology. 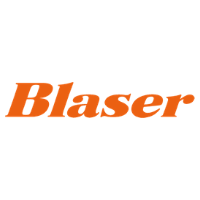 With more than 60 years of manufacturing history behind it, Blaser is continually driven to technological innovation by a passion for shooting. It's F3 shotgun is a main on the competition circuit while the R8 rifle is a market-leader in the hunting world. As a driving force in the industry, you'll find a Blaser in the hands of every kind of shooter - including those at the very top of the game. With a history that can be traced back to the 1600’s, Birmingham Small Arms (BSA) have one of the most prestigious chronologies in British manufacturing. During its history BSA have serviced a vast amount of global military contracts the most enviable being the supply of rifles to the British Army, which still runs to this day. 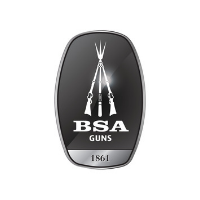 During the last half century BSA have dedicated their attention to production of high precision air rifles. Merging knowledge gleaned from their past and the latest manufacturing techniques BSA have become one of the worlds leading specialists in PCP (Pre Charged Pneumatic) production. World renown for their supremely accurate cold hammer forged barrels, BSA guns are in as much demand now as ever before. Whether it’s for professional pest controlling, target shooting or back yard plinking BSA have a range of trusted options to suit every budget. Pulsar is well known as a leader in both thermal and night vision technologies across a variety of market places. Pulsar’s story begins when a small company started producing wooden draw tube telescopes in 1991. In 1994 they became Yukon Advanced Optics with a small but revolutionary range of both day and night optics. The next big step came in 2001, when they produced and launched their first Gen 1 Night Vision Rifles Scope (NVRS) and by 2005, with continued investment and growth, the company was producing 70% of the worlds Gen 1 night vision devices. As a progressive company, Yukon were simultaneously working on new technologies and in 2003 launched the first digital night vision device, the popular Ranger spotter. 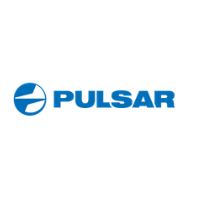 The benefits of digital night vision for the consumer market were clear and between 2006 and 2008 they invested heavily in the research and development of digital products which gave rise to the trademark Pulsar. Now, with over 1000 employees, eight facilities in seven countries and an international network of distributors, including the exclusive UK distributor, Thomas Jacks Ltd, Pulsar are now recognised as the leading global manufacturer of consumer thermal imaging, digital and image intensified devices. Established in 2007 Shot Show, Sightmark offers feature-rich products serving the hunting and tactical markets. Sightmark strives to maximize modern rifle accuracy and efficiency with precision sighting products. Currently, the brand has spread in more than 40 countries among hundreds of quality retailers. Whether you’re a weekend warrior or hunting the depths of the season, Sightmark has you covered with reliable optics and accessories to take your hunt to the next level. As hunters ourselves, we know how important it is to pick a brand that aligns with the hunting values we all share. SGC was founded in 1993. 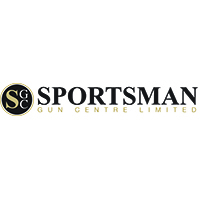 Our company has always positioned itself in the middle of the UK gun industry and is always striving to be forward thinking, industry innovative and completely dealer and customer focused on both margins, quality, and service. With three super stores to showcase all of the products that we distribute, our main company focus is our dealer network. We are always striving to ensure that dealers have the highest service levels and industry beating margins. Our mantra and that of the company has always been “invest in your dealers and they invest in you”. Known as one of the largest UK importers with a strong and growing portfolio of brands we are really able to help support the industry through our network and commitment to dealers, and of course this goes right through to the end user. This is our aim especially as now markets and business is a lot harder than what it was in 1993. Our focus is to see what is coming in the future. We have seen overseas countries with its brands boom and then fall away in this industry, and our passion is always to look out to the future to what will be the next emerging country to supply our market, and ensure SGC is there to adapt and change then bring those changes to our dealers to help protect our great industry.